As the leading plumbing, air conditioning, and heating experts in the Boulder, Colorado area, the professionals here at SWAN Plumbing, Heating & Air have the experience and expertise to take care of all of your home’s plumbing and HVAC needs. 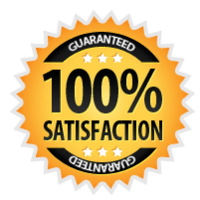 Our certified master plumbers and dedicated HVAC professionals have nearly 50 years of combined experience and fully back each job with an iron-clad 100% satisfaction guarantee. We are available for consult and emergency repairs seven days a week. So, call us today and join the thousands of happy homeowners who rely upon SWAN for all of their homes’ plumbing, air conditioning, and heating needs. Or, click here to schedule your Boulder plumbing or HVAC service online. The Colorado winters are both beautiful and brutally cold. Fortunately, we have decades of furnace repair and replacement experience to keep your home warm and toasty all winter long. Our expert heating systems technicians can repair, maintain, or replace any heating system, ensuring your home is as warm and energy-efficient as possible, even in the most frigid of conditions. Our professional Boulder furnace repair technicians are not only NATE and EPA certified, but they undergo extensive an extensive screening process and have experience with all makes and models of furnaces. So, when you call SWAN Plumbing, Heating & Cooling, you can expect the very best service and a speedy repair. If your Boulder home is in need of a furnace replacement, you can count on us for the best replacement costs and service as well. As the leading plumbing, heating, and air conditioning repair and replacement services in the Boulder area, we understand all of our customers concerns and strive to make furnace replacement a hassle-free process for each and every client. You probably would never dream of letting your vehicle go years without oil changes and other preventative maintenance. The same should be true of your furnace. An annual furnace tune-up by a Swan HVAC professional can eliminate the vast majority of unexpected furnace malfunctions and repairs and add years to the life of your heating system. Our technician will clean, inspect, and test the various parts of your furnace’s operating and safety systems to ensure that they are working properly. While boiler systems are well-known for their reliability and durability, they can still experience problems every now and then. Similar to your home’s plumbing and HVAC systems, your boiler system needs to be regularly maintained in order to keep it in the best running condition and avoid costly repairs. If the boiler in your Boulder, CO home is in need of maintenance service, repair, or replacement, the boiler professionals at SWAN Plumbing, Heating & Air are just a phone call away! We can repair or replace any boiler at an affordable price and do the job right, ensuring your family stays warm and cozy during the coldest of winters. At SWAN Plumbing, Heating & Air, we are so confident in our Boulder HVAC and plumbing technicians that we confidently back each service and installation with an unheard of 100% satisfaction guarantee. We also provide convenient same-day service and up-front pricing for every installation, maintenance service, or repair, making us the go-to source for quality plumbing and HVAC services throughout the greater Boulder, CO area. Is the AC malfunctioning in your Boulder, CO home? Our expert industry-certified air conditioning technicians are available 24 hours a day, 7 days a week to quickly repair your AC, replace it, or schedule a new installation. We’re here when you need us most, so feel free to give us a call and begin enjoying a cooler, more comfortable home today! Here at SWAN Plumbing, Heating & Air, we take great pride in being able to solve any air conditioning problem. From shorted circuit breakers to failing compressors and everything in between, we have the knowledge, experience, and expertise to repair any air conditioner or HVAC system and help you stay cool as a Colorado cucumber each and every summer season. At SWAN Plumbing, Heating & Air, we often run across AC units that have simply seen one too many Colorado summers and need to be replaced with newer, more efficient models. Our professional air conditioning technicians provide full AC replacement and installation services, so you can always have a place to escape the summertime heat! From 6,000-square foot mountain mansions to 1,000-square foot starter homes, we have the skills and experience to tackle any AC replacement or installation. Are you in need of quality plumbing services at an affordable price for your Boulder, CO home? If so, you’ve come to the right place. The licensed professional plumbing technicians at SWAN Plumbing, Heating & Air have over 40 years of combined experience and each project is backed by SWAN’s 100% satisfaction guarantee. From brand new installations and replacements to repairs and routine maintenance, we are the ones to call for any and all of your home’s plumbing needs. Next to the kitchen, bathrooms are the most important rooms in a home, and fully functioning bathroom s are a must for every modern homeowner. Recognizing this, we offer same-day service for every single bathroom plumbing job. Whether you’re adding another bath, have a clogged pipe, or simply need an inspection, our licensed master plumbers are standing by ready to take your call. As the leading plumbing service provider in all of Boulder and the greater Denver area, we service and install bathtubs, toilets, faucets, sinks, shower heads, and so on from all of the major brands. From Moen and Kohler to Whitehaus and American Standard, you name it and we can repair or install it. Our professional Boulder, CO master plumbers are experts in every aspect of plumbing. We provide comprehensive kitchen plumbing services and are able to fix kitchen faucets, drains, garbage disposals, waterlines, and more in a fast and friendly manner. Whether you have a clogged garbage disposal, leaky faucet, clogged drain, or any number of kitchen plumbing issues, our certified plumbing pros provide same-day service and back each job with SWAN’s industry-leading 100% satisfaction guarantee. So, give us a call to schedule a visit and solve your plumbing problems today! For $99 (standard price $199) we will send one of our clean cut, highly trained & qualified, drain cleaning technicians to your home in Boulder, CO and fix any issues you may be facing with drains or sewer line right the first time! We offer a full range of drain / sewer line cleaning, drain snake & sewer scope services for all residential Boulder plumbing customers.